Our stud farm is located on the outskirts of Seville far from the city. We have great lawns so our horses can rest and graze without the noise of the city disturbing them. The boxes are quite large and clean, they have a window to the outside and a layer of sawdust of the best quality and feeders. In the tack room we have all our equipment to go out on the track or to take a walk in the countryside. We also have a cafeteria, a veterinary clinic to attend to the injuries of our horses, the pregnancies of the mares and any other urgency happened in our stud. In the stud farm, we are dedicated to breeding Andalusian horses (PRE),we are specialized in coat bay and black, but even specializing in these, we have every variety. 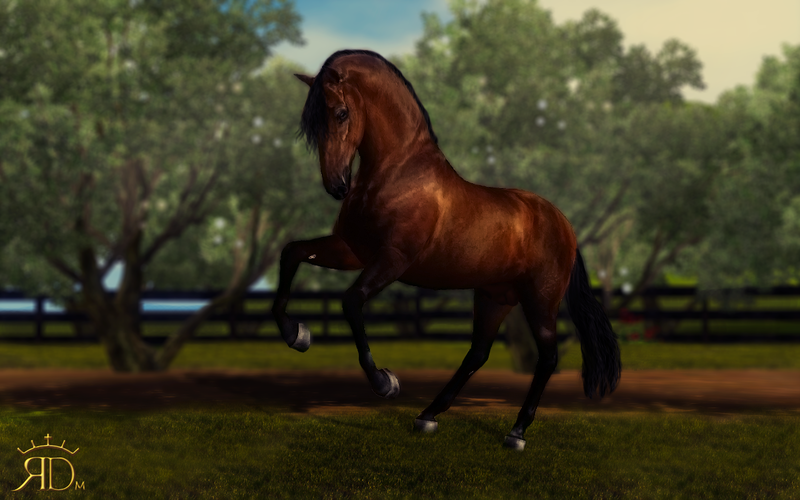 As far as breeding, we have some stallions available for external breeding. 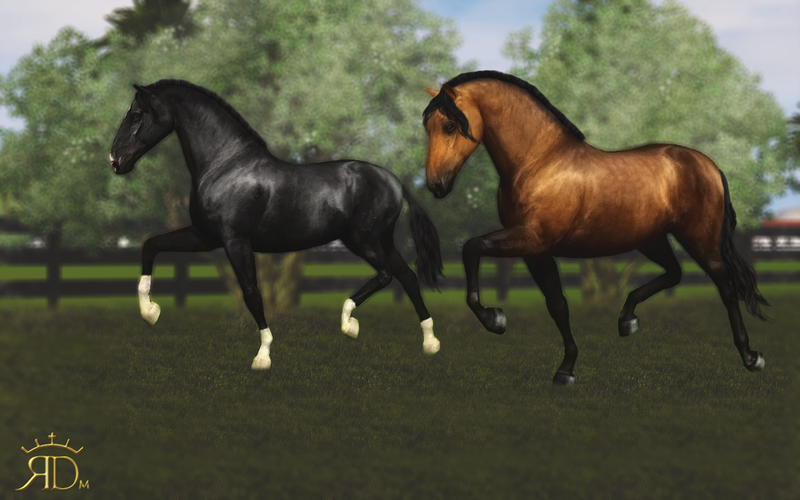 Currently, these stallions compete in dressage, classical dressage and some in halter. Our breeding mares compete only in halter and dressage. Our breeding mares have a very good genetics that comes from important stud farms like Escalera, Centurión, Militar and Urquijo. All our mares have very good morphology, most of our mares are champions on track in others communities. These mares are selected by breed experts who ensure good offspring for the stud. These pretty girls are Yuca, Castañuela y Honesta (in order from left to right), all are 100% Andalusian mares, breeding in our stable. 25891 MRD Jáncara IV del Cascabel Bay Halter ? 26424 MRD Campanera I del Cascabel Bay Halter ? 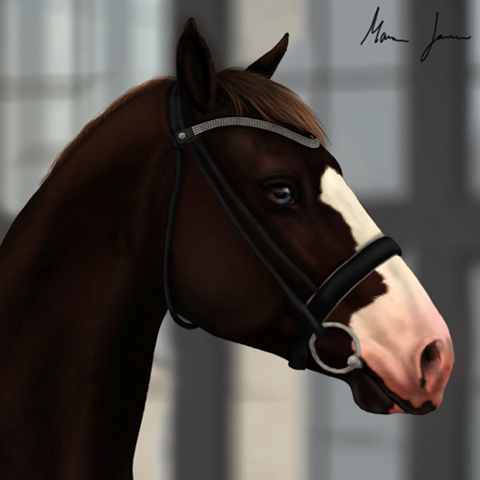 10621 RDEC Marinosa VII (lease) Grey Dressage ? 7178 HCC Eponine Grey Dressage ? 21618 Castañuela II De la Campana (lease) Bay Dressage ? - MRD Castañuela del Cascabel Bay Halter ? - MRD Yuca del Cascabel Bay Halter ? - MRD Honesta del Cascabel Bay Halter ? - YDA Sureña del Andaluz Grey Dressage ? - Golosa de Urquijo Black Dressage ? 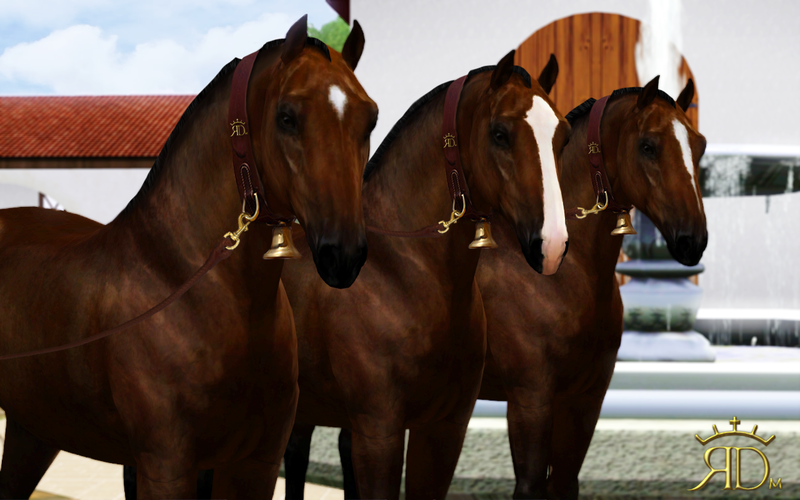 Our stallions are unique, and compete in dressage, as cowgirl as classic and in contests of morphology. Its quality is splendid given the origins of our mares, which are only crossed with the best horses to get the foals of such beauty and functionality as the specimens of our stud. 25886 MRD Caribeño del Cascabel Grey Dressage ? 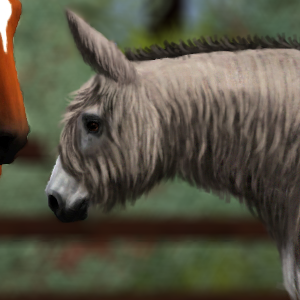 26240 MRD Bandido III del Cascabel Grey Dressage ? 26425 MRD Elogiado del Cascabel Bay Dressage ? 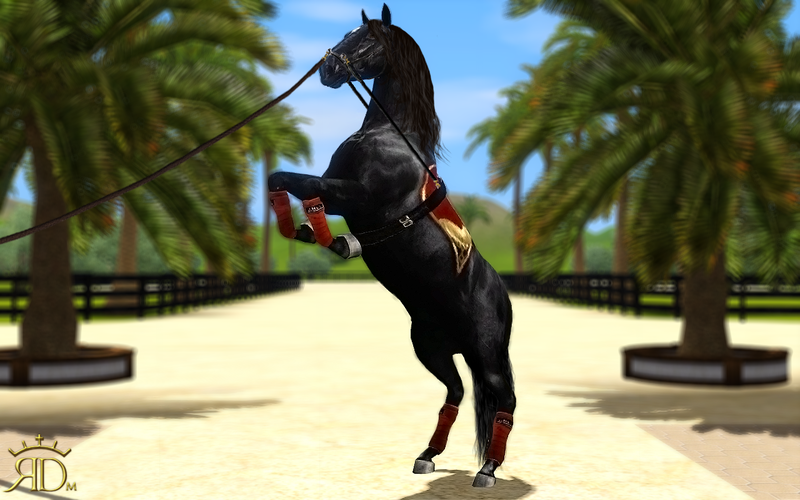 27416 MRD Poeta XVI del Cascabel Black Dressage ? 23164 Vaquarius MAS Grey Dressage ? - YDA Avileño del Cascabel Bay Dressage ? - MRD Cartujano del Cascabel Bay Dressage ? - Tabasco de Urquijo Chestnut Dressage ? 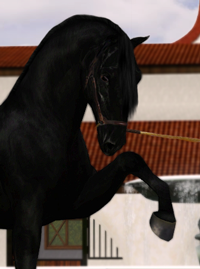 Cofreido is a bay andalusian stallion, he compete in dressage, he is part of our dressage team, now, he has 104 points! He and MRD Poeta XVI del Cascabel are the best stallions of our stud. In this photo we can appreciate one of his training exercises. In the future he will be available for external breeding. Is your blog open for comments? I love your facilities! ^^ Great pic! Poeta, also known as "Furia", is a young colt of 4 years of age, which is competing in dressage. He has a great pedigree which allows him to obtain 11 points of bonus in dressage. Nowadays we submit body and soul in order that Poeta extracts the better thing of itself. 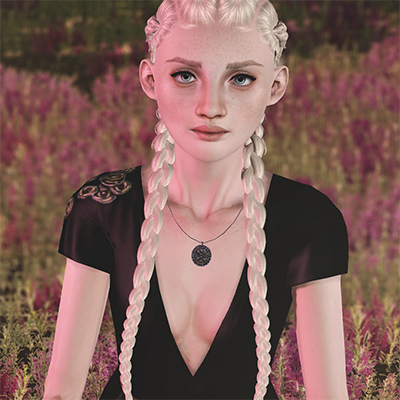 @Luna-Andrews Thanks! I will do it! This pretty guy is MRD Caribeño del Cascabel, a grey Andalusian horse with vitiligo in the snout and eyes, currently competes in dressage and has a total of 41 points so far. When he gets 50 points he will start an external breeding season. "El Cartu" as we call it in the stables, is a young stallion bay, son of our beloved MRD Honesta del Cascabel. 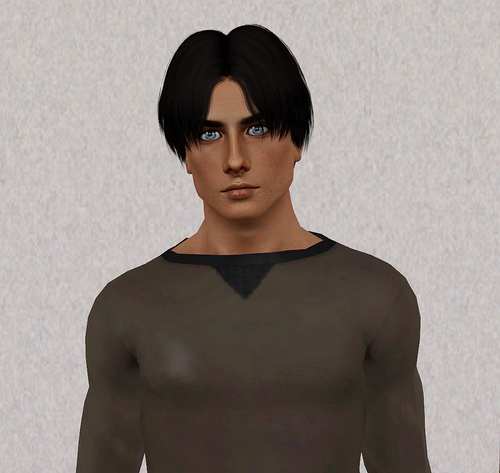 What do you think of him? I'm completely in love with him! This cute girls are Golosa and Jáncara. Golosa, the black mare is from @Borja-Domecq stable, she's been with us for over a year and she has become very close friends with our dear Jáncara, the bay mare. Hey! 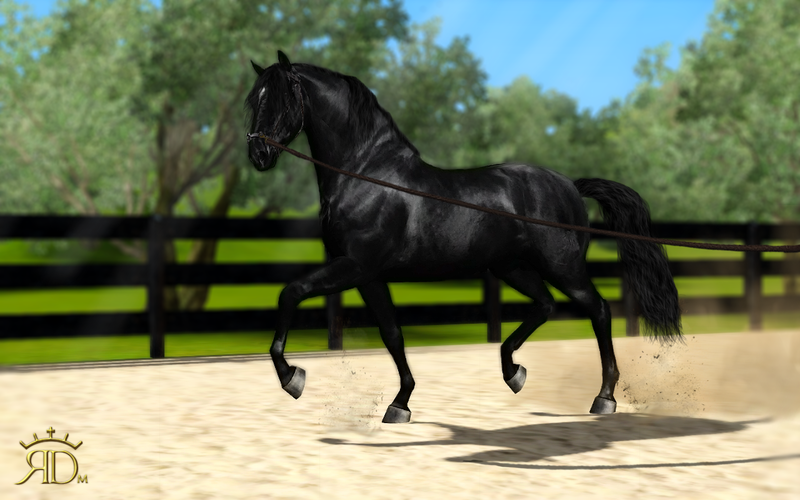 The other day we were practicing Spanish dressage (Alta Escuela) with our beloved Poeta, he learn very fast and is great! what do you think?